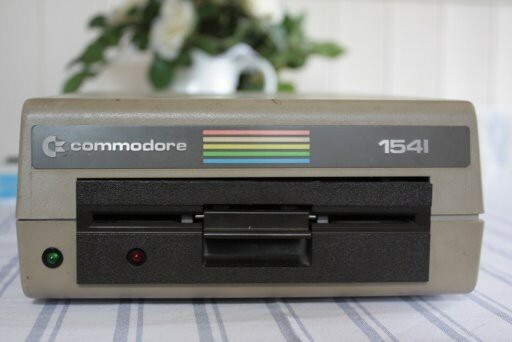 I got my first computer, a Commodore 64, in 1984. Some people used the cassette drive but we always had a 5.25" floppy drive. Next up was a Macintosh LC which came with a built-in 3.5" floppy drive. 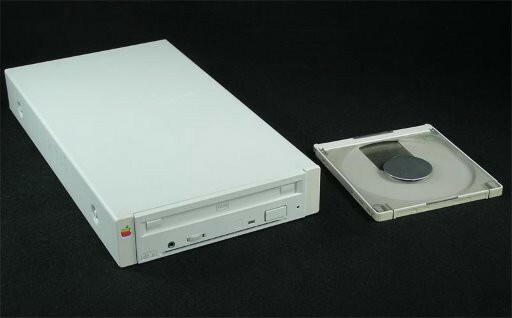 We added an external CD-ROM drive right around the time System 7 came out. My Myst and Grolier CD-ROM Encyclopedia discs were well used. My college Macintosh (a PowerMac of some flavor) had built-in floppy and CD-ROM which almost met all of my needs. 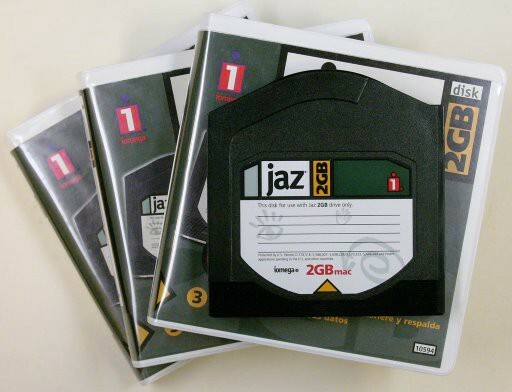 On the rare occasion I needed to move large numbers of files around, I had a friend who would loan me a Jaz drive. That those discs held 2 GIGABYTES was mind-boggling. You could almost overlook the high failure rate. 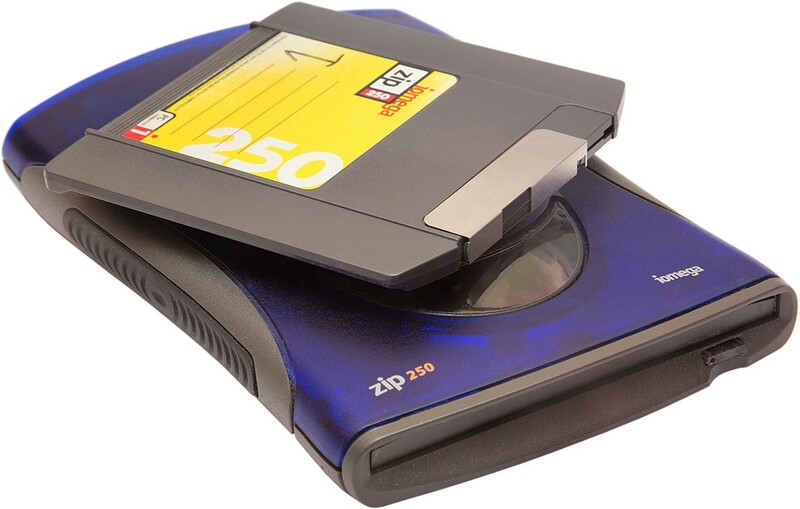 After college, around 1998, I got my first zip drive. I mainly used it for shuttling files back and forth from work to home since I only had dial-up Internet at the time. The drive pictured is the 250mb version, although I only ever owned the 125mb model. 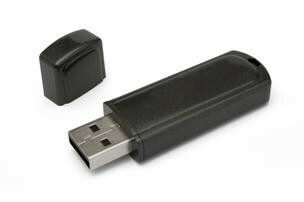 Somewhere in the early 2000s, I got my first thumbdrive. I'm pretty sure it was a 64mb model. Then a 128mb version. Now it's 2015. I have a 64gb thumbdrive that's the size of my fingernail. I have another that's 128 gigabytes which cost less than $30. I think that's close to what I paid for the 128 megabyte version 15 years ago. The funny thing is that I almost never use either thumbdrive now. Everything is either on Dropbox, Sync, or Google Drive. Occasionally I'll pull something down to my phone for storage. And who knows what's going to come next. I'm sure my grandkids will laugh at the idea of online storage. What? You didnt just have all of humanitys data implanted in your brain, grandpa?